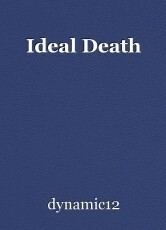 But to have an ideal death, we often crave and pray. Your demise set an example for everyone to see. Like brave ‘Sultan’, everything you overcame. But your selfless dedication paid off like true worship. To fulfill duties towards the One, we all shall return. We all believe, might have pleased Him a lot. And allowed you to complete all the obligatory rites. The freedom of your soul from this world was styled. Your soul left your body with no suffering at all. And Holy Book on chest made your death sublime. So it called you back to take you in its close embrace. That you will perform pilgrimage until the Judgement Day! Beautifully written. My condolences as well. The greatest ragedies spark great muse.